Last week, I promised to talk, today about what kept me away from St.Andrews Church on June 13. That promise is postponed, owing to theopportunity to report on something relevant to Fathers Day. * * * The funeral for Robert Davis Holmes, last Friday, June 15, in TorontosYorkminster Park Baptist Church, turned out to be a moving and poignantFathers Day story. You can watch it in a webcast atwww.yorkminsterpark.com. One of his sons, Peter Holmes, grew up to be a pastor, as well, and, in duecourse, became the lead minister at Yorkminster Park, sometimes called theBaptist cathedral. You will see why if you watch the webcast. Using a golf analogy, he noted that his father had won again justas he had, many years ago, in a tournament that he organized for somefriends and church leaders. His most recent win related to the fact thathe was now free from the ravages of polio that had hindered his ability towalk without canes for most of his ministry years. For the son, his own losswas poignant because he missed his father and mentor. And Peter pointed out that his father stoutly articulatedReformation theology, including a belief in the total depravity of humankind. Yet his whole demeanour his warmth, optimism, trusting nature,affirmative behaviour and pastoral care showed a side that wanted todemonstrate the open-heartedness of his God. Peters siblings all participated in the funeral service. Carol and Rob readScripture, Nancy sang one of their fathers favourite hymns, When I Surveythe Wondrous Cross. And Steve gave one of the eulogies. In the process, hepaid deep tribute to their mother, Jean, who loved and cared for Bob throughtheir long marriage and in the years of his declining health. 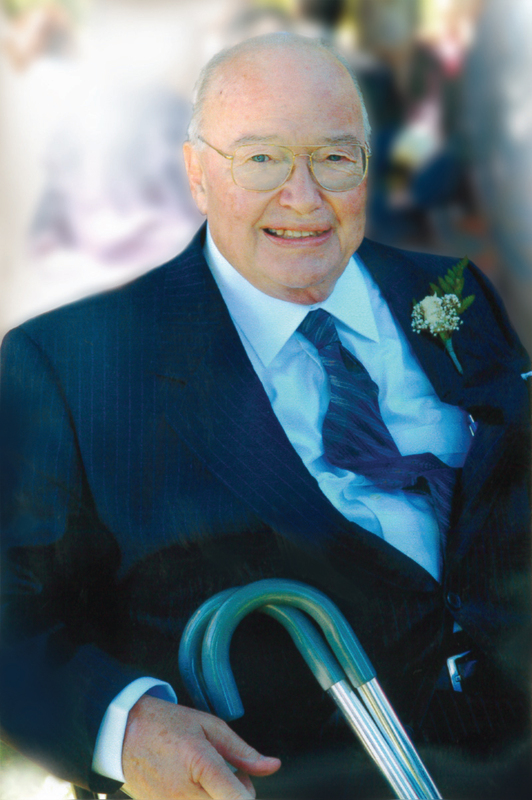 The passing of Bob Holmes was a family and Baptist event. But there was asub-text, too, that speaks, implicitly yet clearly, to the faith-politicalinterface.Peters father was a highly-regarded leader and pastor in the Fellowship ofEvangelical Baptists, the more conservative of the two largest Baptistgroupings in Canada. Peter has emerged as one of the leading pastors in whatis known, today, as Canadian Baptist Ministries. The fact that the twogroups are separate entities relates, both directly and indirectly, tochurch politics that existed in the early part of the 20th century. Bob Holmes, according to son, Steve, remained loyal to the Fellowship untilthe very end. But always, he affirmed CBM as faithfully proclaiming the sameWord that he loved to preach. That word focused, among other things, on therisen Christ and the ability of a strong church to make a real difference inits world. My own recollection was that that the senior Holmes was a consummate churchpolitician in the best sense of the word. He was very much a godlyproblem-solver and affirmer. He wanted his funeral to be at Yorkminster Park, in part, to honour hispreacher son. But even more to the point, he wanted to present CanadianBaptists with an opportunity to demonstrate that there is a significantlyseamless aspect to the life and work of Gods church. It was no accident that the recessional for the funeral was what is known toBaptist insiders as The McMaster Hymn. The choice of The McMaster Hymn was classically demonstrative of the kindsof pastors that both the Fellowship and CBM are producing these days biblical, Christ-centred and relevant. The hymn is better known in the restof the church world as Jesus Wondrous Saviour. I will wrap, today, with acouple of stanzas. Jesus, wondrous Savior! Christ, of kings the King! Angels fall before Thee, Prostrate, worshipping; Fairest they confess Thee In the heav’n above. We would sing Thee fairest Here in hymns of love. Life is death, if severed From Thy throbbing heart. Death with life abundant At Thy touch would start. Worlds and men and angels All consist in Thee, Yet Thou camest to us In humility. To those OttawaWatch readers who are more interested in its politicalpunditry than its faith-based content: Thanks for bearing with me today. Iwould only add that there are lessons that both Pastor Holmes wouldcommunicate that could apply not only to people of faith, but topractitioners of the arts and sciences of politics. Lloyd Mackey is an honorary member of the Canadian Parliamentary Press Gallery in Ottawa. He is author of Stephen Harper: The Case for Collaborative Governance (2006), More Faithful Than We Think: Stories and Insights on Canadian Leaders Doing Politics Christianly (2005) and Like Father, Like Son: Ernest Manning and Preston Manning (1997).